FUEL EFFICIENT 26 MPG Hwy/19 MPG City! 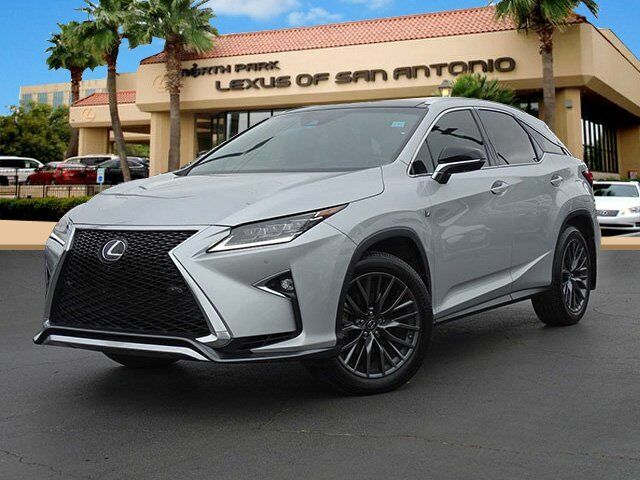 Moonroof, Heated/Cooled Leather Seats, Nav System, ACCESSORY PACKAGE, F SPORT HEATED STEERING WHEEL W/PADDL... All Wheel Drive, iPod/MP3 Input, Hitch, Aluminum Wheels, F SPORT PACKAGE READ MORE! 12.3" NAVIGATION SYSTEM W/MARK LEVINSON AUDIO 15 speakers w/subwoofer premium surround sound system, advanced voice command casual-language voice recognition system, Bluetooth hands free phone and automatic phonebook download capabilities, remote touch navigation controller, HD Radio w/iTunes tagging, SiriusXM NavTraffic, NavWeather, Sports, Stocks and Fuel Prices, Lexus Insider and Electro Multi Vision (EMV) display, Single-Disc DVD Changer, LEXUS SAFETY SYSTEM PLUS W/TRIPLE-BEAM HEADLAMPS pre-collision system w/pedestrian detection, Premium Triple-Beam LED Headlamps w/Auto High Beam, All-Speed Dynamic Radar Cruise Control (DRCC), Lane Departure Alert w/Steering Assist, PANORAMIC MOONROOF, PANORAMIC VIEW MONITOR Blind Spot Monitor w/Rear Cross Traffic Alert, lane change assist, TOW HITCH W/BALL MOUNT, COLOR HEADS UP DISPLAY, INTUITIVE PARKING ASSIST clearance and back sonar, ACCESSORY PACKAGE Cargo Net, Cargo Mat, SmartAccess Key Gloves, Wheel Locks (PPO), F SPORT HEATED STEERING WHEEL W/PADDLE SHIFTERS Perforated leather, TOUCH-FREE POWER REAR DOOR, F SPORT PACKAGE active sound generator, black headliner, F Sport exterior and steering wheel badging, F Sport meter, front and rear performance dampers, paddle shifters, scored aluminum trim, pedals and footrest, unique fascia, front bumper and rear bumper, vehicle dynamics integrated management (VDIM), rear door inner finishplate, front illuminated aluminum scuff plates and rear aluminum scuff plates.